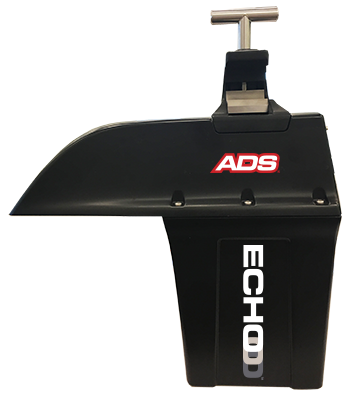 The new ECHO monitor from ADS provides utilities with an economical level monitoring solution providing early warning of preventable blockages; such as fats, oils, and greases (FOGs); root intrusion; silt/sediment; and debris. It is a self-contained, wireless sewer level monitoring solution that alerts operators via text or email messages when flow levels exceed critical thresholds. 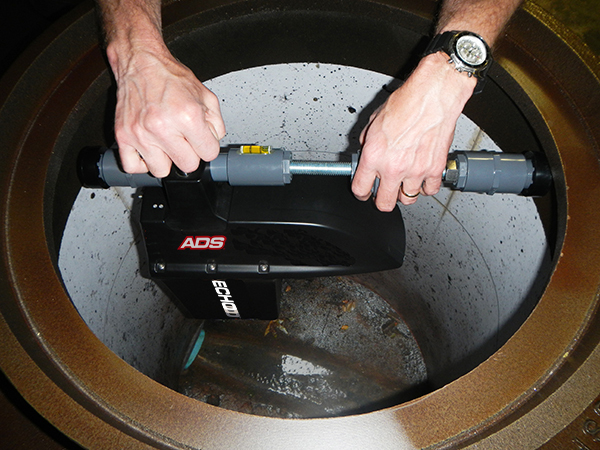 The monitor features ultrasonic sensing technology providing high-accuracy focused level measurement from the top of the manhole into the pipe invert at distances up to 20 feet. 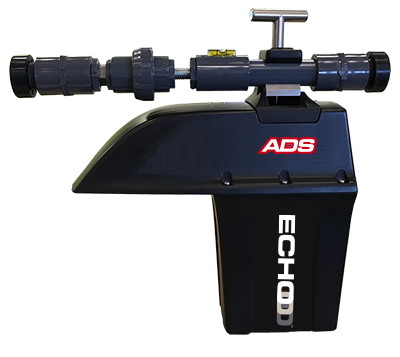 ECHO is designed for ultra-low power consumption, yielding up to a five-year battery life, and integrates with ADS’s FlowView intuitive web-based interface for data collection and analysis. 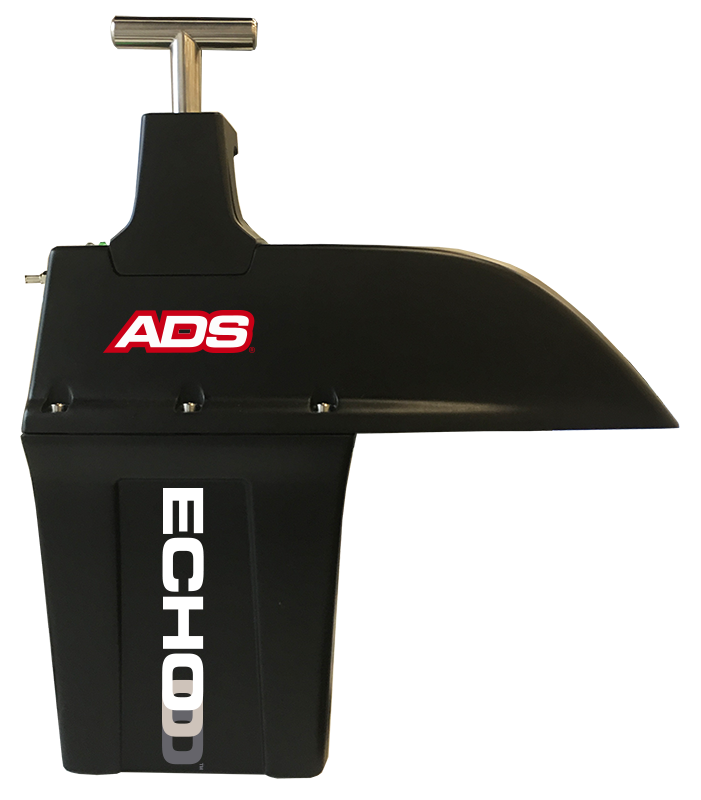 View the ECHO video on YouTube: "ECHO... Now That's Smart!". CLASS – C225883 – Process Control Equipment – Intrinsically Safe – For Hazardous Locations – Certified to US Standards; Class I, Division 1, Groups C and D, T3 (152°C); Ex ia IIB T3 (152°C) Ga; Class I Zone 0 AEx ia T3 (152°C) Ga. 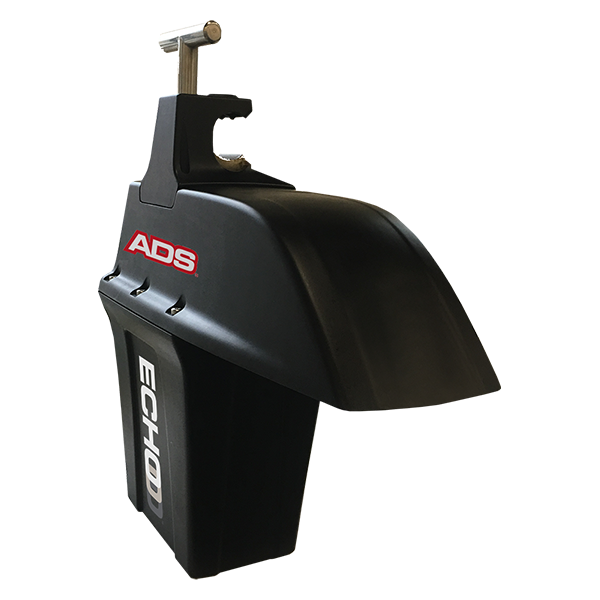 Mounts to an expandable bar which requires no tools for installation or manhole descent. Optional wall mount hardware is available. Single piece, injection-molded, glass-filled polycarbonate. Measuring sensor is an integral part of the monitor enclosure. IP68 Certified.